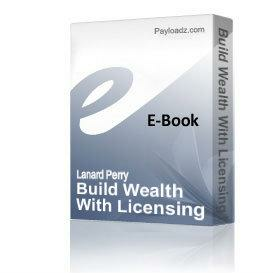 Buy and Download > Description Building Wealth With Licensing Audio Seminar. Learn all you need to know about Licensing Reprint Rights to add another stream of income. Purchase includes Full Resell rights. Building Wealth With Licensing Audio Seminar. Learn all you need to know about Licensing Reprint Rights to add another stream of income. Purchase includes Full Resell rights.